These are premium sheep horn handle scales. Each scale in this set is surface ground on the reverse side for maximum handle yield. 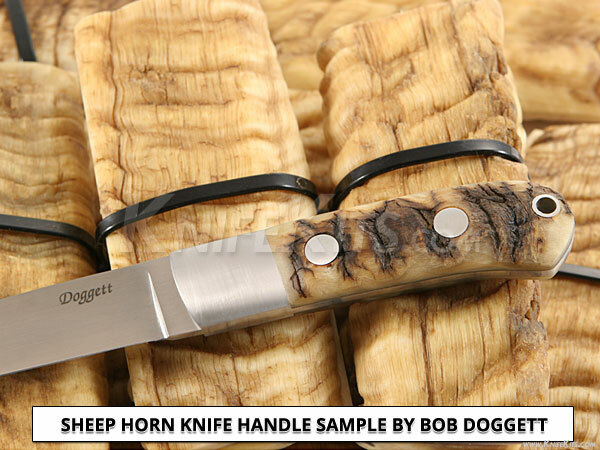 As a set, they are excellent for folding and fixed blade knife handles, as well as many other handle applications. 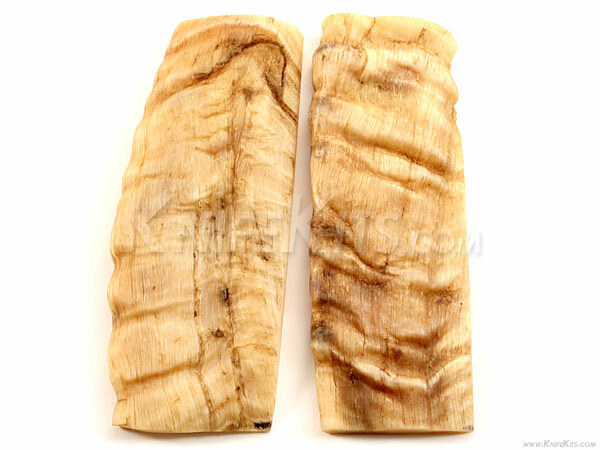 Our premium sheep horn scales are naturally aged and dried for over 1 year. Each scale set is high-quality, pattern matched and will add exceptional value to your next knife or gun project! Note: The sheep horn scale set in the image above is the actual set being sold under this stock number. Please SelectBenchmadeBill's Custom C..Black Dog Conce..Blade-Tech™Bluegun®Boker®Boltaron™Bravo Concealme..Camillus®CazGearCKK IndustriesCombat EliteConcealment Com..Cook's Gun Mold..DeWALTDKDDPX Gear™Dustin Montgome..Elite Survival ..Evenheat®Fury Carry Solu..G-CODEH&KHazmat Holster ..HolsterMolds™HOLSTEX™HubertusINOXKalamazooKershaw®KYDEX®Meyerco®MicrotechMoon Shine Camo..MossbergMulti Mold®NSR TacticalOn Target Gun M..ParagonPiranha™Pitbull Tactica..Pro-Tech™QLH MoldsQuick Draw GearRaven Concealme..Rebranded Custo..Riptile Camoufl..Scissortail Cus..SigTacSmith's Sharpen..Smith&Wesson®TacWareTalon Retention..Traditions™UltiClip™UM Tactical®Value LineVibra-TiteVoodoo ResinsWarfytr Equipme..